Welbeck Abbey – History… the interesting bits! Every school holidays my 9-year-old son and I like to find somewhere new to go for an adventure. In the past we have explored castles and abbeys, been knights and ghosts and peasants. This week, in the gorgeous February sunshine, we went prehistoric. The Ice Age is a little out of my Medieval comfort zone, but I’m always up for learning new things. 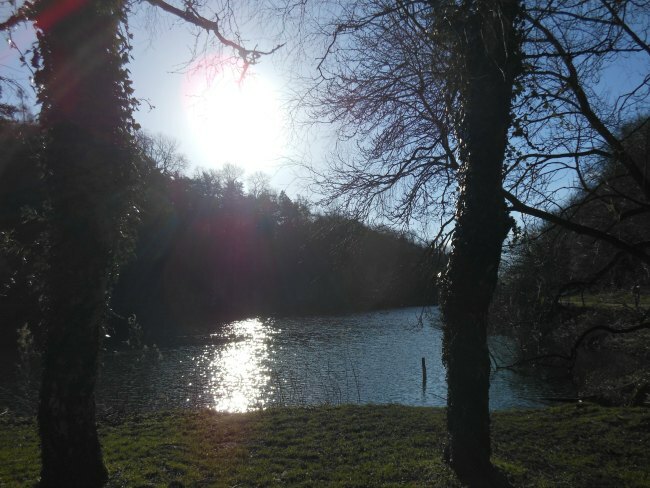 With that in mind, we headed over to Creswell Crags, on the Nottinghamshire/Derbyshire borders. There are usually 2 tours to choose from; Life in the Ice Age and Rock Art. The Rock Art Tour doesn’t open until after Easter, however, as a result of those caves being a breeding ground for endangered bats; and so they are out-of-bounds until breeding is over. No matter, it was the Ice Age Tour we were really keen to go on. And what a treat! An hour-long explore of the Robin Hood Cave with our tour guide, Liz. The caves are high up on the sides of a wonderful limestone gorge, with a lake at its base. In Victorian times, the Duke of Portland dammed the river to make the lake – and prevent the railway being built through the centre of the gorge. The Victorians were good for some things, although we could have done without them using dynamite to expose relics within the cave system; a lot of archaeology was lost thanks to such a heavy-handed approach. 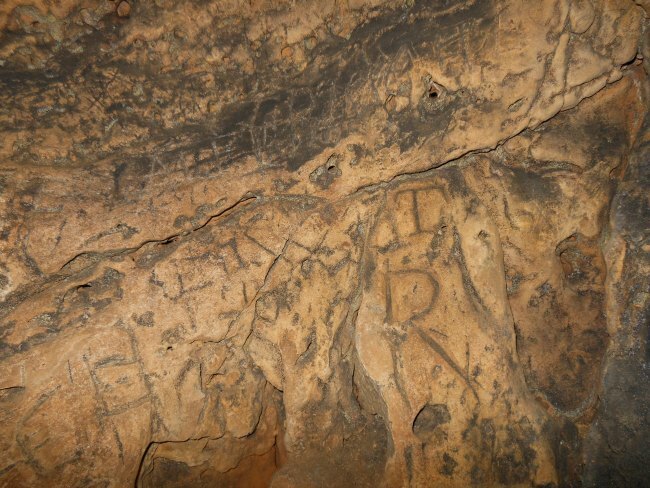 On the bright side, the Robin Hood Cave was named by those same Victorians. Local legend says that Robin Hood once hid out there, having crossed the border into Derbyshire, to escape the dreaded Sheriff of Nottingham. At least there has still been plenty to find. Liz told us that the cave system has been occupied by humans over 50,000 years ago, probably by up to 30 people at a time. The hunter-gatherers followed the big game to the area – this was the furthest that the animals would come, everything north of it was under ice. 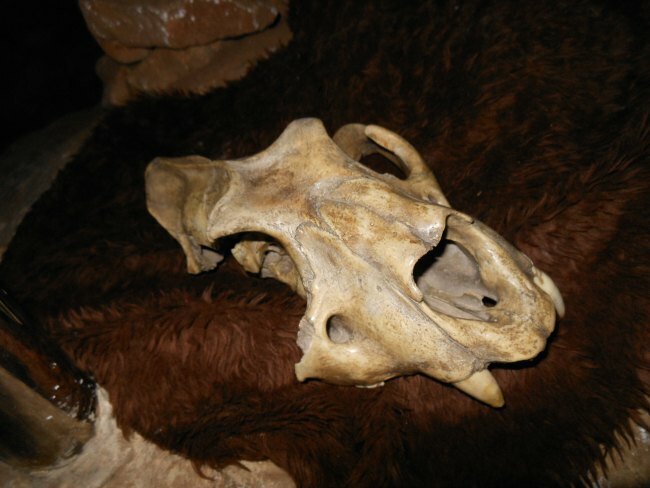 Animals such as lions, bears, mammoths, wolves and hyenas are known to have frequented the Creswell gorge. Once inside the caves our hard-hats and headlamps came in very useful. There were no stalagmites or stalactites – thanks to those Victorians and their dynamite, but the rock formations were wonderful to look at and the kids were suitably impressed by the ‘dragon snot’ on the walls, and not so impressed by the Victorian and modern-day graffiti. Cave spiders, spider sacks and cobwebs were in sufficient supply, but they didn’t overrun the place, thankfully. We were allowed to handle artifacts which included a 60,000 year-old handaxe, a flint knife and a leather bag, made using urine and some post-urine-soaking chewing (yuk, basically). The last part of the tour took us into the deepest, darkest part of the caves, and turned the lights out; we were surprised to find it wasn’t fully dark. A second dimly-lit entrance, partly blocked by a rockfall, was apparently the entrance and exit route taken by the bats! Having held a mammoth leg bone, and been shown a lion skull, we made our way to the cave entrance, past the 3 mummified rats. Apparently, this particular cave has a constant temperature of 7 degrees and the rats have not decomposed as would have been expected, even though they have been there for about 30 years. 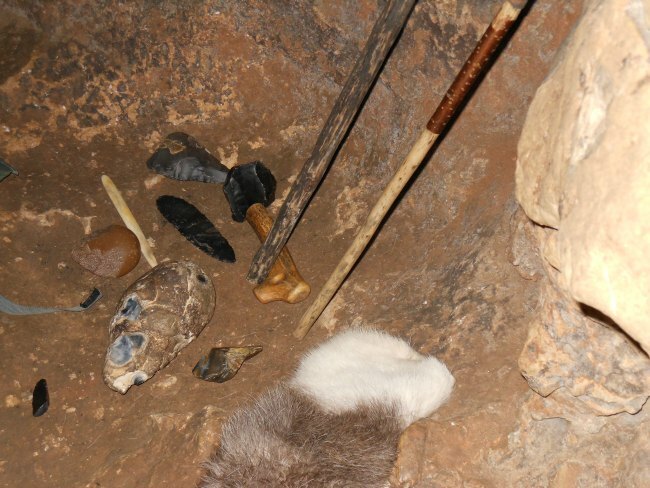 At the end of the tour, we had a look at the permanent exhibition, where you could see the artefacts found in the caves: handaxes, animal bones, flint and antler tools. There was an interactive video of the rock art and a display of the archaeology tools used on-site. 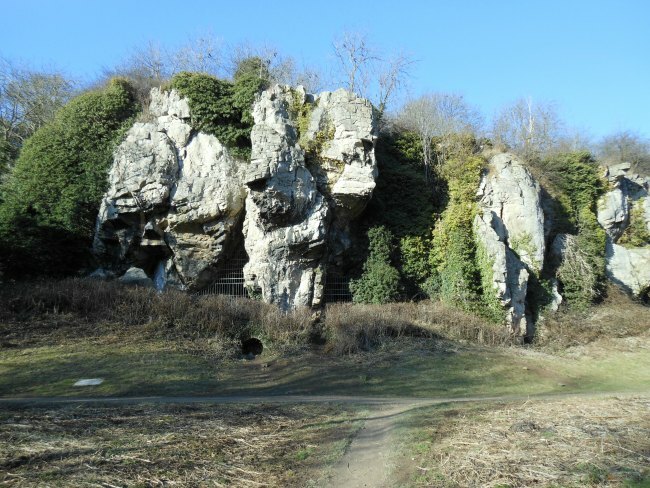 All-in-all, Creswell Crags is a wonderful experience. A pleasant walk in the sunshine on one side of the gorge – the other side seems to be in almost permanent shade. A wonderful exploration of some incredible caves. And just a glimpse of what life was like there 60,000 years ago. After all that, the only thing left to do was visit the gift shop…..